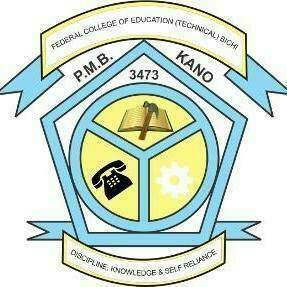 Federal College of Education (Technical) Bichi, Kano State In Affiliation with Abubakar Tafawa Balewa University Bauchi (ATBU) Degree Admission Form, Admission Requirements, Application Guidelines and Closing Date for 2018/2019 Academic Session. FCE(T) Bichi in affiliation with ATBU Bauchi commences admission into the newly approved degree courses by the National University Commission (NUC) for 2018/2019 academic session. RECOMMENDED: FCET Bichi 5 Degree Courses Gets Approved by NUC, 3 Others Gets Accredited. Applications are hereby invited from interested and suitably qualified candidates for admission into the following Degree programmes of Federal College of Education (Technical) Bichi, Kano State in affiliation with Abubakar Tafawa Balewa University Bauchi (ATBU) for 2018/2019 academic session. Minimum of five (5) credit pass in English Language. Mathematics and any other three relevant subjects. 1. All applicants for screening are to visit http://www.fcetbichi.edu.ng/portal/index.php make payment of N2,000 with an ATM card via the Remita e-Payment platform. 2. Fill required information, including result(s), and other relevant documents. 4. Printout screening summary report. • The following items arc required for submission to the venue of the screening exercise. NOTE: Applicants are strongly advised to adhere to the payment procedure guidelines, as any deviation may result in delay or outright invalidation of your payment. All fees must be paid using Remita e-Payment platform.